Don’t be fooled by the name, but red cedarwood oil comes from a type of juniper tree (Juniperus virginiana),1 a member of the Cupressaceae or cypress family. These trees, which grow 30 to 65 feet tall, can be found in the U.S.,2 where they are commonly known as the Eastern red cedar. Essential oils made from cedar trees grown in the U.S., such as red cedarwood oil, are primarily used in making perfumes. These oils are high in both cedrol and thujone as well, the latter often being used to “falsify” sage oil. Red cedarwood oil has a fresh and soft, but deep, woodsy fragrance,3 making it valuable for commercial purposes. However, if you aim to use a cedar essential oil therapeutically, you may want to consider the Atlantic or Atlas cedar oil from Morocco, instead of red cedarwood oil. Atlas cedar oil is the only recognized cedar oil suitable for therapeutic use4 — more about this later. The Eastern red cedar is commonly known as an ornamental tree, and its wood is used for furniture and other items like interior panels and fence posts. Certain parts of the red cedar tree have been valued for their medicinal purposes, too. Despite Atlas cedar oil being more popularly used for therapeutic purposes, red cedarwood oil has recently shown aromatherapeutic potential as well, specifically for relieving anxiety. A January 2018 Physiology & Behavior animal study highlighted that this essential oil may deliver anxiolytic effects in certain body pathways.13 More studies may be needed to confirm this benefit, however. Aside from the red cedar, take note that there are other cedar tree varieties found around the world, such as the Atlantic or Atlas cedar (Cedrus atlantica) that’s native to the mountains of Morocco, cedar of Lebanon (C. libani), the deodar (C. deodora) from the Western Himalayas and Cyprus cedar (C. libani var. brevifolia). Oils extracted from these cedar trees may impart therapeutic benefits. 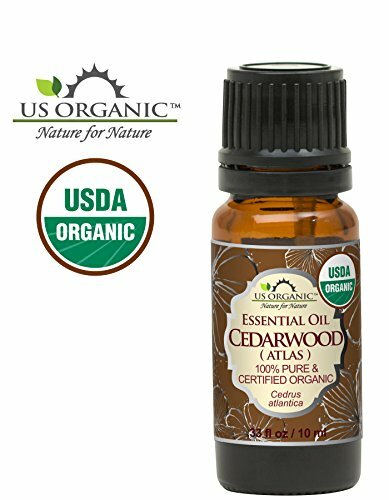 Is Red Cedarwood Oil Safe? I advise you to take extra caution should you purchase or use oils made from cedar trees. As mentioned earlier, Atlas cedar oil is your most ideal choice, since it’s the only oil made from cedar trees that may be used therapeutically. As I always recommend, consult your doctor and take an allergy patch test before proceeding to use any essential oil. Lastly, before using Atlas cedar, red cedarwood or other essential oils, dilute them first in safer oils like almond, coconut, jojoba or olive oil before using.